I don’t know how many times I have been asked by clients to recommend a detox or cleanse. It seems to happen most often after the holidays, vacations, or any season when things may get a little off track. It is quite appealing to have an indulgent weekend and be able to cleanse yourself of all the damage by popping a few detox pills or drinking some juice for a few days. I really wish it were that simple. The idea of detoxing comes from the thought that our bodies are full of toxins that they are unable to handle these toxins on their own. But, do we need to purchase special products to help us cleanse? Not really, your body actually has natural detox pathways, no purchase necessary. But, at the same time, we do live in a pretty toxic environment and many of us are not always kind with our food and beverage choices. So your body does likely need a little extra support to do what it needs to do. 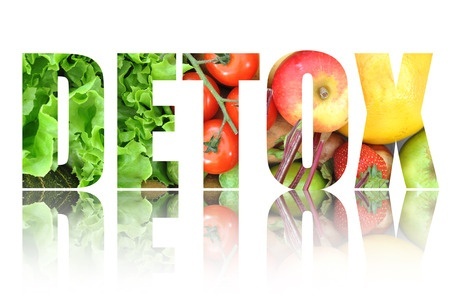 Let’s dive a bit deeper into detoxification and the ideal way to go about it. If we provide the raw materials these organs need to do their job, specifically nutrient dense food and lots of fluids, they are able to get rid of almost all harmful toxins on their own. If this system wasn’t in place, you would quickly get overloaded. The other part of the detoxification equation that many people forget (or maybe don’t want to think about) is that in order to truly allow your body to cleanse itself, you also need to avoid adding more to the toxic load. Chemicals, pesticides, plastics, bathroom products, alcohol, drugs, and foods high in sugar and low-quality fats, all make it harder for the body to naturally detoxify. In addition, also consider that we live in a toxic world and we are regularly exposed to a high level of toxins that we have little control over. There is pollution in the air we breathe, chemicals and pesticides in our food, and even toxic household or personal products we might be using daily. Our natural detox pathways are already working overtime in this environment. If we add less than ideal diet choices, it then becomes necessary to provide a little on-going support to maintain the health of these helpful organs. So, rather than doing a one-time “cleanse” consider naturally supporting the detoxification of these organs on an on-going basis. Starting with the digestive system, its primary role is to prevent toxins from entering the body to begin with, as well as removing unusable waste leftover from digestion. The best way to detoxify the digestive tract is to keep things moving smoothly. Start with drinking plenty of water and eating the recommend 25-35grams of fiber a day. Water pushes things through while fiber acts as a brush along the walls of the gut, cleaning out toxins. Fruits, vegetables, nuts and seeds are all high fiber and detoxifying foods that support the function of the digestive tract. A few other foods that are particularly cleansing to the digestive system are fennel, celery, and beets. These not only contain tons of fiber, they are also high in nutrients that reduce inflammation and neutralize toxins. Finally the job of the kidneys is to flush out the toxins processed and neutralized by the liver. The best way to help the kidneys do this important job is to drink enough fluids – water, sparkling water, herbal teas – allowing them to naturally cleanse. How much should you really be drinking? To determine how much fluids you should drink divide your weight in pounds by 2. That’s how many ounces of non-caffeinated fluid you should be drinking daily. For example, if you weigh 150 lbs, you should be drinking 75 ounces of fluids. You may need even more if you are living in a hot climate or are physically active. You can also consider adding a bit of lemon to your water, as lemon helps to neutralize and push toxins through the system. Plantains, a fruit similar to a banana, are also known for their diuretic properties and can help the kidneys clean out the blood. While thinking about detoxifying the body, as I mentioned, it is also about the toxins you are putting in. Any food that increases inflammation or that you have an intolerance to will make the job of the digestive system, liver, and kidneys more difficult. Alcohol is highly toxic to the entire system, so cut back on drinking or eliminate it completely. Processed sugar, in all its forms, is highly inflammatory and toxic to the liver, so it should also be avoided. Chemical sweeteners such as aspartame, saccharine, or sucralose can also increase toxic load, therefore opt for other types of sweeteners. Lastly, avoid low-quality fats, such as canola oil, vegetable oil, and foods with trans fats. Sometimes we do need to take a step back and do a little bit of a reset, particularly if we have been overindulging for a while. Also, since we live in such a toxic environment, where we are exposed to so many things we can’t control, it is important to support our body’s natural detoxification system on a regular basis. Help your body naturally detoxify by just putting a little more emphasis on drinking enough water and eating fresh, whole, nutrient-dense foods with lots of fiber. This provides the body with what it needs to do what it does best. What do you do regularly to support detoxification?